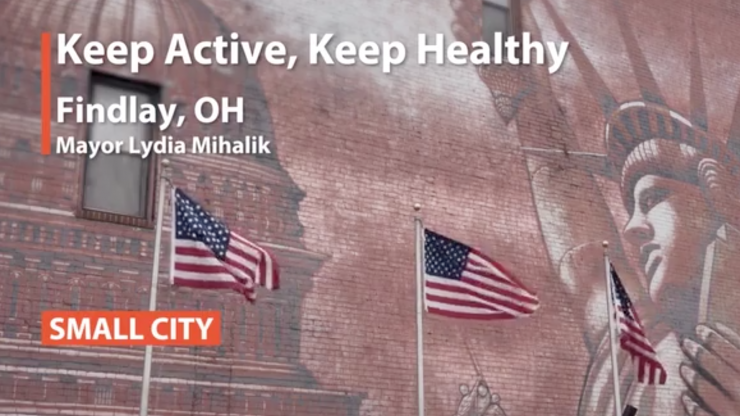 This week on Sip & Savor, we wanted to look back on the 2019 Small City winner of the Childhood Obesity Prevention Awards - Findlay, Ohio. The criteria for winning the Small City award includes developing a program that combats childhood obesity and the population must be 75,000 residents or less. Mayor Lydia Mihalik started the "Keep Active, Keep Healthy" program to encourage kids to stay active in fun ways. The program provided "old school playground" games and activities for participants during the summer, but the City quickly realized that children really needed a place to be active during the cold weather months. The City has since expanded the program to run during the winter. Now, there are opportunities for children to stay active indoors when the temperature becomes too frigid to handle!